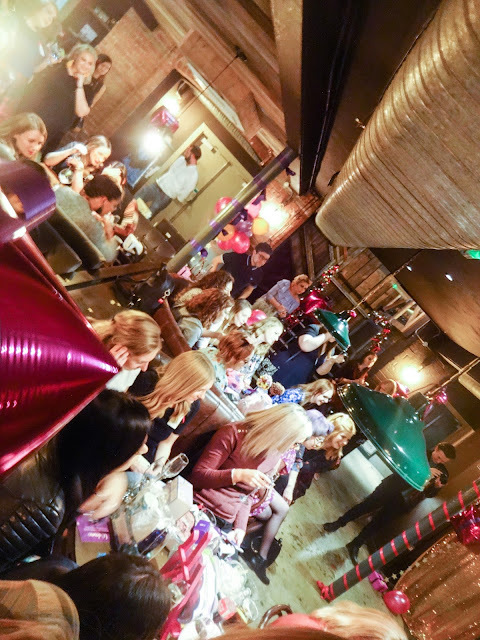 What do you get when you put together a bunch of excitable bloggers, some innovative gift ideas, a YouTube star and a wave of prosecco? 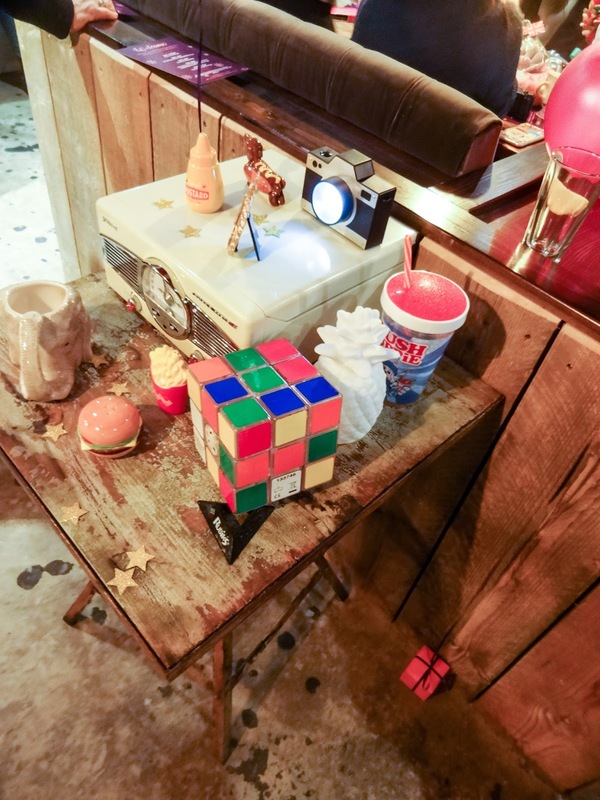 The answer is the Prezzybox Jingle Mingle event, which I was very hyped to go along to last week. When you’re a blogger, one of the nicest things is making friends and contacts with others in the blogging world. 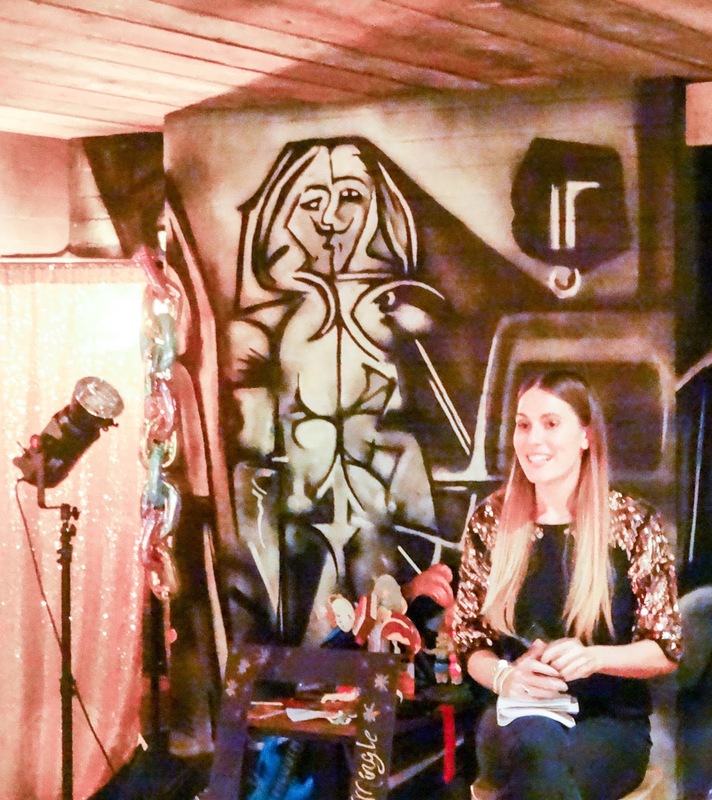 What can begin as quite a lonely, isolated hobby, typing away in your bedroom, can blossom into some really fabulous times, and events like this are what makes it all happen. 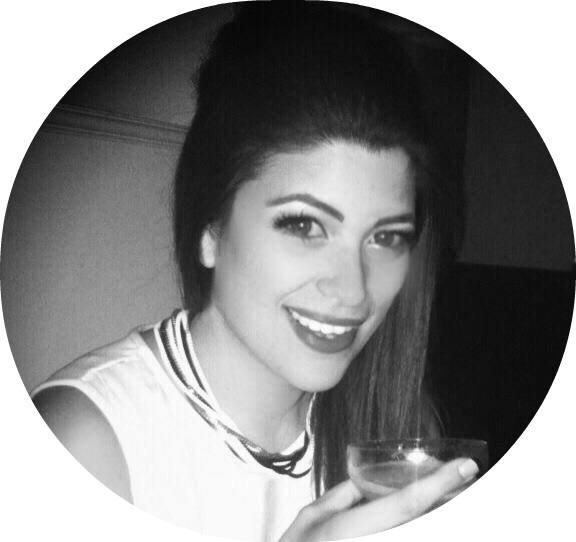 Back when I first started blogging, I was properly in the closet with it – only my boyfriend knew I was doing it. I felt almost as if it was a shameful secret that I didn’t want people closest to me to know! If you want to grow though, you don’t have much option but to be transparent and authentic – and that includes owning up to what you do. A lot of bloggers can probably relate to that. I had all sorts of worries about not being taken seriously in my career and the judgement of people I knew, but its only through facing those fears (and also being a lot older now, which definitely helps with not caring what other people think so much) that I’ve been able to feel comfortable with my passion project. Those topics and much more were up for discussion at the Jingle Mingle event. In the blogging world, most (if not all) of these things happen in London, sometimes Birmingham or Manchester if you’re lucky. That means they’re out of the question for those of us who live outside of the capital, work full time and can’t drop everything to roll up to a product launch at the drop of a hat. Sometimes it feels like your options for growth are limited outside of the M25. So I fully respect Prezzybox for wanting to concentrate on the local scene and create something here. Nottingham is a hotbed of creative talent musically, artistically and otherwise, so it feels nice to be involved with brands who want to back that and respect the different offer that each local scene has. The event was held at Baresca, a beautiful tapas bar nestled away down Byard Lane, near the original Paul Smith shop (the designer is another example of Nottingham creativity). We walked into a winter wonderland and were greeted with prosecco – definitely just the ticket to put a smile on your face! Straight away, I ran into Kirstie from Behind the Scent and Steph from Priceless Life of Mine who are two of my favourite ‘influencers’ on the local scene, so that was lovely. 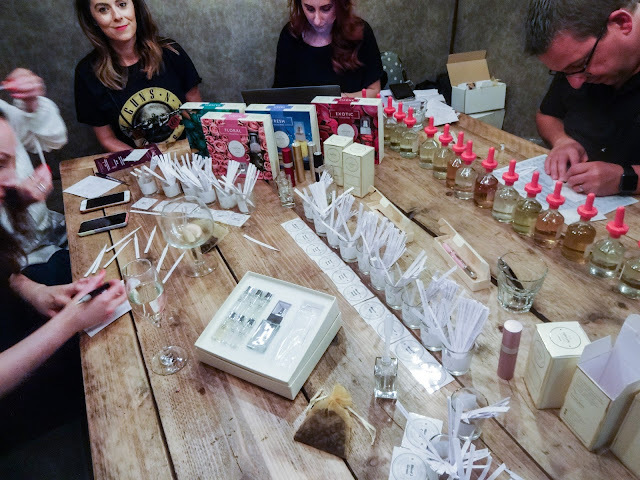 We got to take part in a custom scent workshop courtesy of The Perfume Studio. 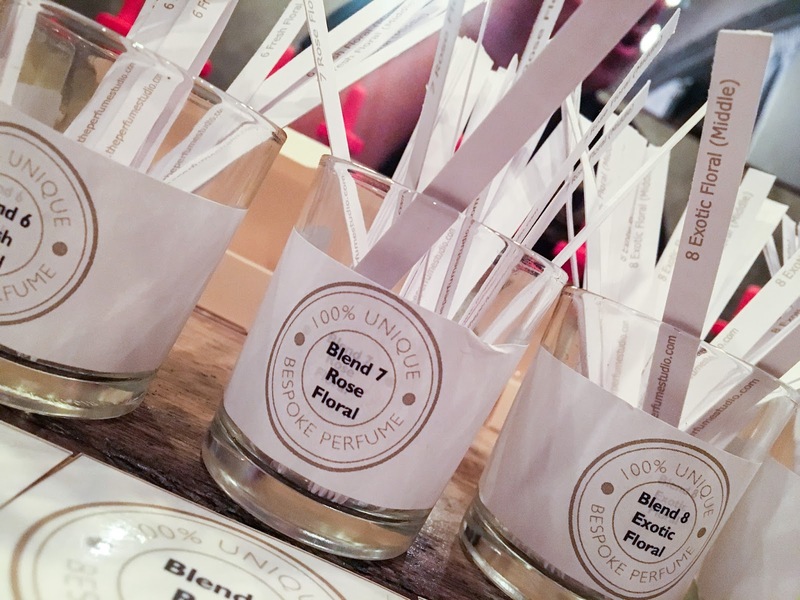 There were different scent groups to choose from, which we got to sample and combine into our very own unique signature scent. This is an example of the thoughtful, personalised gifting ideas Prezzybox offer – what better gift for a sister that’s fussy, an aunt who’s hard to buy for or even a hen party, as you can book a group experience. We got to learn all about the different ‘accords’ or groups of notes that make up the three layers of a perfume – base, middle and top. 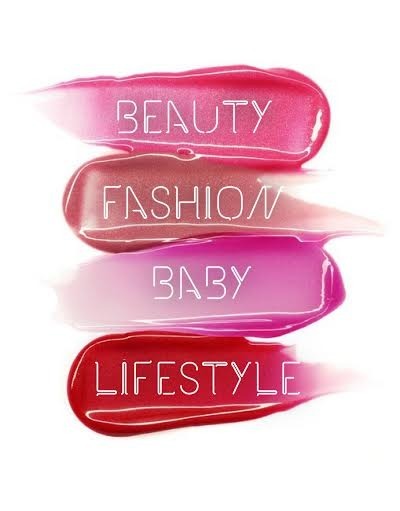 The top layer is your initial experience of the scent, while the base layer is what lingers on your skin for hours afterwards. 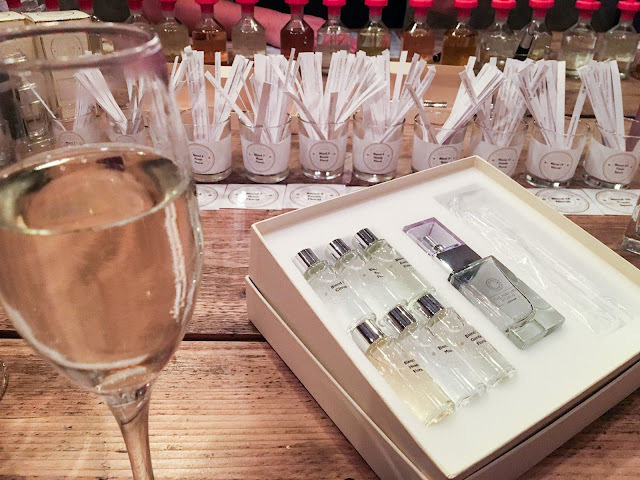 Sampling the different accords was so interesting – it’s funny how instinctive your like or dislike of a particular scent is. For example, I had an immediate dislike to the aldehyde accord, which is quite an old-fashioned, powdery group of notes found in scents like Chanel No 5. To me, it smelt like Granny’s knicker drawer! Conversely, I was drawn to exotic florals quite strongly. It’s funny because I’m very selective about perfumes and there are literally only four or five I will wear (Chanel’s Coco Mademoiselle, YSL Black Opium, Lady Gaga Fame, Mac Velvet Teddy and Escentric Molecules 01, if you’re asking!). In the end, my custom blend was a mix of those lovely exotic floral notes and balsamic, with a gourmand base note. I like to think the result was quite sophisticated, and I named it ‘Luxe’ (after sarahdeluxe.com of course!). Now that it's created, I can order it anytime from the website. The experience was a fascinating insight into the complex world of fragrance and would make such a thoughtful gift. 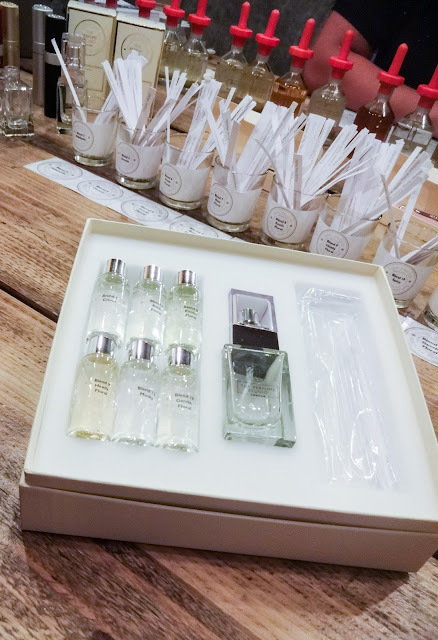 If the full workshop is too much, The Perfume Studio also have little home scent creating kits that come with a selection of different accords within a certain family that you can combine into your ideal creation. After that, there was a panel discussion with the evening’s co-creator, YouTube star TalkBeckyTalk, aka Becky Sheeran. Now, I don’t watch tonnes of YT, but I am already a fan of Becky’s thanks to her warm, down to earth approach and similar tastes to me. A while back, I remember very excitedly realising that Becky and her sister Holly, who is also a YouTuber, must live in the same area as me, as I began recognising some of the local tea shops and bars they’d vlog in. So to have the chance to ask Becky all the questions we wanted about how it is to hit the ranks of the influencer elite, how she did it, what the pitfalls are and how she deals with things like trolls, demanding brand partnerships, work/life balance and more was fascinating. It’s a bit weird because you feel like you know these people already if you watch them enough, but luckily Becky was every bit as lovely as I would hope, and exactly as she is in her video content. Even better, I got to chat to Holly and Becky quite a bit after the session ended and I realised how keen they are to make more of the local blogging scene and try and help us to get events going here and other things. That made the evening really magic. Another nice thing was getting to meet a few other absolutely gorgeous local blogging ladies like YouTuber Helen Ivy and Holly Tatem-Wyatt, who I am hoping to see more of in the future at events like this! We set off after the event with personalised goody bags as well – mine had some beautiful earrings, a lovely ceramic trinket dish (ideal for pimping all my flat lays!) and a super cute cupcake shower cap, along with a bunny LCD screen cleaner that Theo promptly pounced on and made his own. 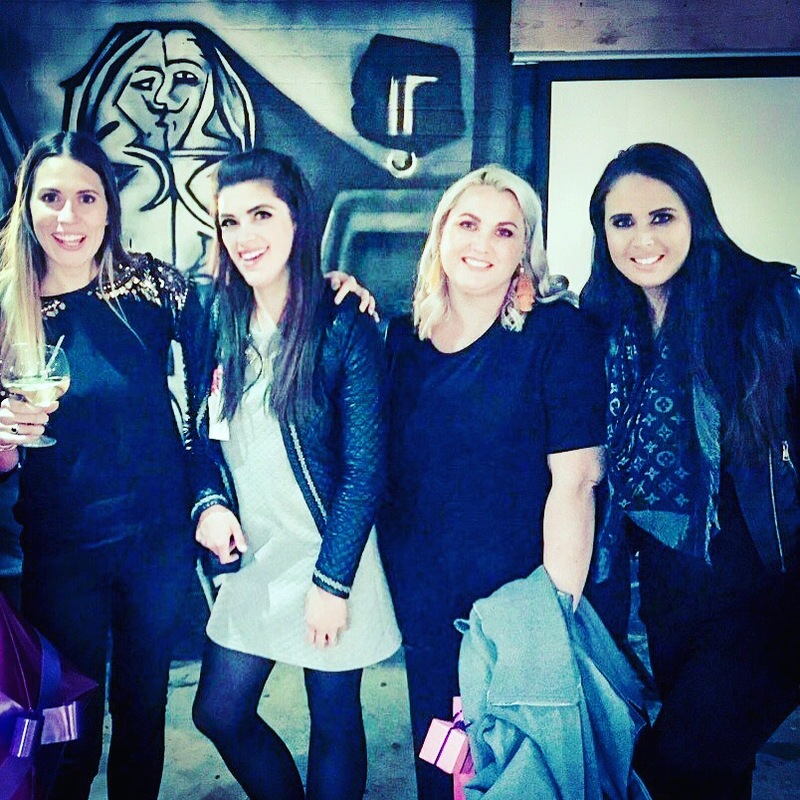 It was a super event and really has inspired me again with how great blogging can be if you find the right people! Massive thanks to Prezzybox and The Perfume Studio and of course to Becky Sheeran as well for a lovely evening.